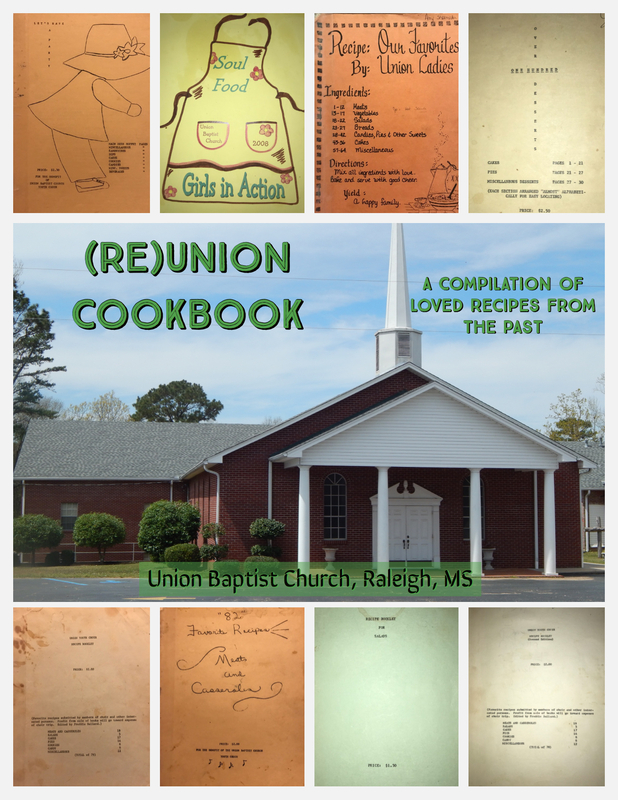 The (Re)Union Cookbook is a compilation of loved recipes previously published Union Baptist Church. Original cookbooks pictured on the cover were published by the Union Youth Choir and Union Ladies, primarily in the 1980's, with the exception of Soul Food, published by the GA's in 2008. The ebook version is available free with the purchase of a cookbook. You may also purchase the ebook only for $12. Mix sugar, flour, & cocoa. Beat egg yolks & add to milk, add this to dry ingredients. Add 1 tsp. vanilla & butter, & cook on low & medium, stirring all the time until thick. For Icing: 3 egg whites, beaten real stiff, cream of tartar, & corn starch. Add 3 Tbsp sugar to each egg white, a small amount at a time. Add 1/4 vanilla last. Put chocolate mixture into cooked pie crust Spread on icing until all edges are filled to the edge of crust. Cook on 350 degrees for 15-17 minutes. Note: You may want to use double boiler instead. I don't. I just cook on top of stove & stir all the time.